They go together like peanut butter & jelly... 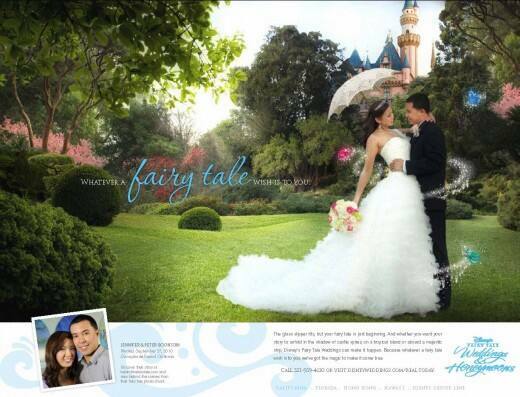 I hope you enjoyed last week's peek at Peter & Jennifer's Disney's Fairy Tale Wedding. As promised, today I am revealing PB&J's Disneyland ad! Could Jennifer look any more beautiful? To learn more about this special pair be sure to check out their behind-the-scenes footage and video testimonials.